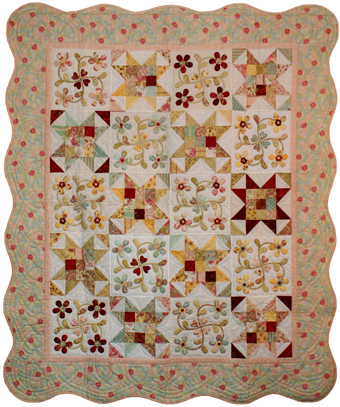 A lovely mix of piecing and appliqué flower blocks. This quilt is finished with a scalloped border, giving it a wonderful fresh look. This pattern includes full sized patterns and is a great project to use up scraps of fabric you may have in your stash. Suitable for intermediate quilting skill levels.